October 4th – 10th was National Amputee Awareness Week in Australia. Coinciding with that week was the annual AOPA (Australian Orthotic Prosthetic Association) Congress at Crown Promenade, Melbourne. Among the businesses displaying at the Congress was Hone Product Design’s partner business Form Prosthetics. 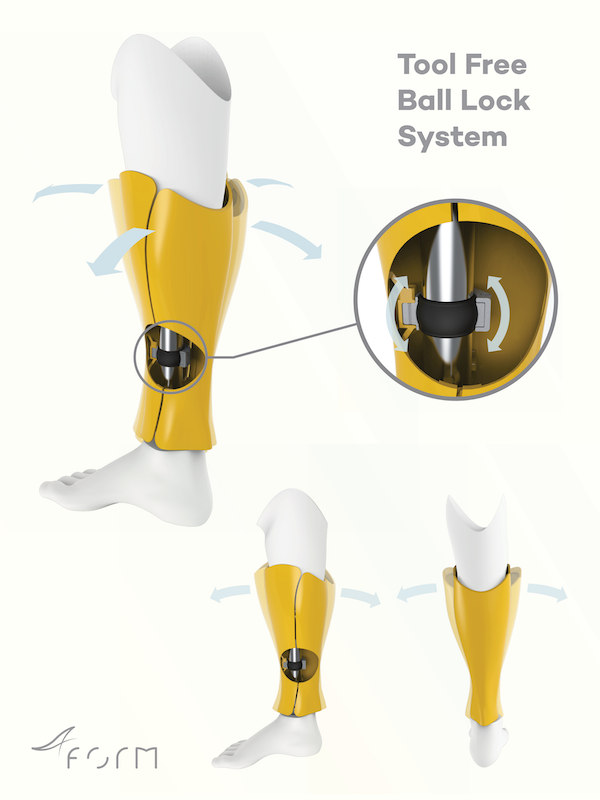 The design team at Hone Product Design are proud to be the designers behind Form’s range of custom cosmetic & protective covers for prosthetic legs. This design project set out to explore the Prosthetic covers market and find a better solution for amputees. Traditionally prosthetic legs have been covered with foam and coated in a skin colour to imitate a sound limb. Research has shown a great deal of dissatisfaction among amputees regarding the appearance of prostheses. Research has also shown that this dissatisfaction can have a direct impact on the emotional well being of the amputee. The design project by the Hone Product Design team adopted the learnings from market research, development, testing and various feedback sessions to identify the solution that is the final product. That process identified that within the market, custom artistic covers are becoming an increasingly popular alternative. The team also identified that within the artistic covers market there was a trade off between a cover that fit well and properly, and one that can be easily taken on and off for maintenance or simply preference. The team also identified that firmly fitting covers offered no versatility in their fit, thus making adjustments to the Prostheses troublesome for the fit. The design result is a totally tool free fitting system that uses a ball lock (Pat. Pending) fitting to give a versatile yet firm fit, while still being adjustable & easy to simply clip on and off. Form Prosthetics’ unique tool free, adjustable fitting. Since entering the Australian market earlier this year, Form’s covers have caught the eyes of high profile Australian amputee athletes Joany Badenhorst & Sam Bramham who have got behind the product which is fantastic commendation. Form are continuing development of further lines with Hone Product Design and we’re very happy to have the opportunity to work on products that are making a positive difference to people’s lives. The full Form product line can be seen here.